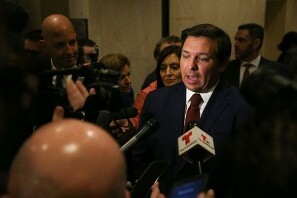 For the eighth year in a row, assignment of benefits lawsuits accounted for more than half of all litigation against insurers statewide, a newly updated report by the Florida Justice Reform Institute claims. Eighteen percent more AOB lawsuits were filed than in 2017. Over the last decade, that growth was 900 percent. Total lawsuits increased just over 400 percent for the same 10-year period. And while the proportion of personal injury protection cases only rose 5 percent, the share of AOB cases rose 70 percent, according to the report. 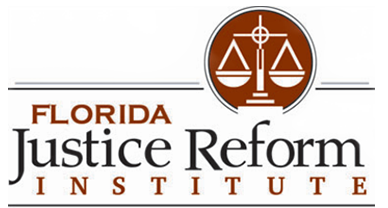 “This updated report details how out-of-control AOB lawsuits based on the one-way attorney fee continues to accelerate, driving up overall litigation and costs for policyholders,” William Large, president of the Florida Justice Reform Institute, said in a news release. The report uses data from the Florida Department of Financial Services' Service Of Process database, updated through 2018, to show the widespread growth of Assignment of Benefits lawsuits. The state law was intended to benefit insurance policyholders by putting them on an equal playing field with insurers, but has instead created a growing windfall for trial lawyers and the repair companies that hire them, the institute said. “I hope the Legislature passes legislation to reform the issue of AOB, which has really degenerated into a racket,” Gov. 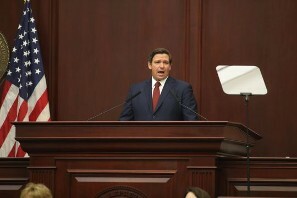 Ron DeSantis said during his State of the State address. Florida Legislature. Tuesday, March 5, 2019. The report was released today, the day before the House Judiciary Committee was to take up its version of an insurance assignments bill similar to one that was filed the previous two years. State law allows a policy homeowner to sign over their rights to a building contractor or auto repair shop so they can immediately pursue direct payment from the insurance company for the cost of the repairs. Often, the amount of the claim is disputed and the case winds up in court. Under the one-way attorney fee requirement, insurance companies pay legal costs whether they win or lose, giving lawyers an incentive to file AOB suits, critics said. The consequence of the spike in lawsuits and award amounts is that insurance rates for many of the state's 6 million property insurance policyholders has gone up by a third, state insurance officials said. The House committee bill would curb the abuse mainly by going after the one-way attorney fee statute by setting a formula for determining which party, if any, receives the award of attorney fees. A similar bill sponsored by Sen. Doug Broxson, R-Pensacola, would only award attorney fees to policyholders if they win. Five firms filed more than 20 percent of all property AOB lawsuits, according to the FJRI report, and nine firms filed nearly 85 percent of all auto glass AOB cases. Most AOB lawsuits appear to be concentrated in Miami-Dade and Broward counties, with the majority of auto glass lawsuits in Hillsborough and Orange counties. "Unfortunately, rampant AOB lawsuits threaten our confidence in the state’s legal climate," Large said. "The Legislature can help the people of Florida by standing up to the trial lawyers and passing meaningful AOB lawsuit reform." Contact Schweers at [email protected] Follow him on Twitter @jeffschweers.